The World Elder Abuse Awareness Day (WEAAD) happens each year on June 15th. It was officially recognized by the United Nations General Assembly in its resolution 66/127,December 2011, following a request by the International Network for the Prevention of Elder Abuse (INPEA), who first established the commemoration in June 2006. It represents the one day in the year when the whole world voices its opposition to the abuse and suffering inflicted to some of our older generations. Elder abuse can be defined as “a single, or repeated act, or lack of appropriate action, occurring within any relationship where there is an expectation of trust which causes harm or distress to an older person”. It is a global social issue which affects the Health and Human Rights of millions of older persons around the world, and an issue which deserves the attention of the international community. Elder abuse is a problem that exists in both developing and developed countries yet is typically underreported globally. Prevalence rates or estimates exist only in selected developed countries — ranging from 1% to 10%. Although the extent of elder mistreatment is unknown, its social and moral significance is obvious. 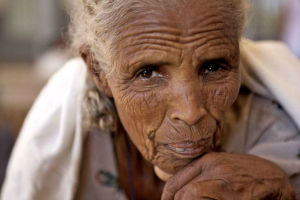 As such, it demands a global multifaceted response, one which focuses on protecting the rights of older persons. From a health and social perspectives, unless both primary health care and social service sectors are well equipped to identify and deal with the problem, elder abuse will continue to be underdiagnosed and overlooked.